Starting a month of shows about anthropomorphic comics on radio show Panel Borders - comics about animals with human attributes - Alex Fitch talks to American cartoonist Anders Nilsen about his epic 658 page graphic novel Big Questions. The book, originally serialised as 15 comics, first self-published by Nilsen and then continued by Drawn and Quarterly, tells the tale of the pilot of a crashed bomber and his relationship with a colony of birds and local wildlife in the countryside where his plane went down. The artist also discusses his award winning graphic novella Dogs and water and why he is often drawn to animals as the subject matter of his comics books. Morris Heggie talks digital future for Beano, Dandy? Phil-Comics Auctions (www.phil-comics.com) is the brainchild of Brighton-based Phil Shrimpton who has a large collection of Beano and Dandy comics and started trading them through the website. 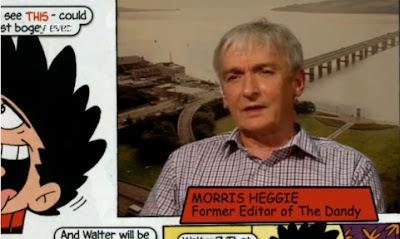 The site was recently given a plug by BBC News, with Phil talking enthusiastically about the DC Thomson titles past and present. Intriguingly, former Dandy editor Morris Heggie also talked positively about the title's digital push, but his comments suggest the company may, sadly, be considering a time when there is no longer a paper edition of the comics. He seemed upbeat about this possibility, however. "You mustn't look to the future and think, 'Oh it's dreadful, there won't be a paper version," he said, "you look to the future and think, 'Oh this is going to be so exciting, we can do so many things, using what we've learned over the years about artwork and funny storylines'." Since its launch in 2001, phil-comics auctions has built an enviable eBay trading reputation in vintage British comics, annuals, artwork and related items. To satisfy his customers’ demands, Phil says he constantly seeks single items and entire collections to offer at auction. 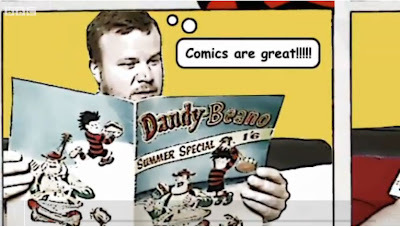 In August 2006, following discussions with DC Thomson, they proudly launched The Beano & Dandy Collectors' Club, dedicated to vintage Beano and Dandy comics, annuals and related items. Although the club has now closed, they have provided PDF links to all of the newsletters. The next Comica Conversation in London brings two giants of children's books and graphic novels together for the first time ever for conversation and live drawing - Australian Oscar-winner Shaun Tan and Britain's former Children's Laureate Quentin Blake (and yes, he's done a great wordless all-ages graphic novel, Clown). A number of women comic creators have set up a European arm of the Women in Comics project, with a public page on Facebook and a private group for further discussion of the industry. Set up by comics journalist Laura Sneddon and comics, prose and screenplay writer Maura McHugh, the public page will promote work by women in the Comic Book Industry in Europe, as well as sharing information and resources of interest to everyone. This is the public face of the private group, Women in Comics, Europe, where the creators plan to share information with everyone about what women in the comic book industry are doing, and circulate articles and resources of interest to everyone. So far these include such things as links to a recent Los Angeles Times feature on women's contribution to comics, particularly on the indie scene with links to follow up posts;a plug for Karrie Fransman's The House That Groaned; and plugs for upcoming Laydeez do Comics meetings. The team at British publishers Blank Slate have popped by in the past few days to promote their plans to publish work by plenty of European women artists including British artist Donya Todd, Nine Antico (from France), Line Hoven, Anke Feuchtenberger (five books in the works), Marijpol, Isabelle Kreitz and Brigit Weyhe (all German). "Europe is overflowing with talented female comic makers," enthuses publisher Kenny Penman. "Blank Slate Books is determined to continue to present their work to English speaking audiences." They welcome thoughtful discussion of posts. Top Shelf Productions and Knockabout Comics have just announced a project several years in the making: a sumptuous new book from Alan Moore, serving as a biography of his close friend and mentor Steve Moore (no relation), a history of London, a mystical journey, and a tribute to human imagination. 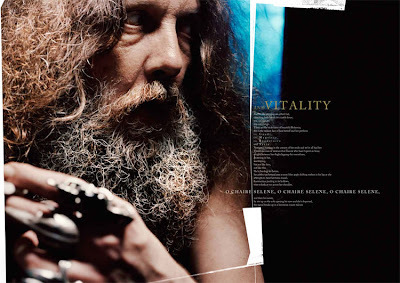 Described by the New York Times as a "poetic and densely allusive text," Unearthing has now been transformed by Alan Moore and photographer Mitch Jenkins into a stunning narrative art-book. And while Unearthing will be offered in the upcoming October Diamond Previews in two editions, to help fund the production of this enormous expensive work of art, the creators have graciously agreed to an exclusive third edition incorporating a letterpress bookplate, hand-signed and numbered by Alan Moore and Mitch Jenkins, limited to 300 copies worldwide. These 300 Signed & Numbered “double-sized hardcover” copies are being pre-sold (starting today), as a Top Shelf website exclusive. By pre-ordering one, you’ll not only be able to secure one of these rare Signed and Numbered editions, but Top Shelf and Knockabout say you will also have done your part to help to get this gorgeous project off the ground. An intensely poetic and innovative work of biography, Unearthing maps the lifetime of author, orientalist and occultist Steve Moore, author of various comic strips for many years but most recently the strange but compelling novel Somnium (see our news story on this from last year); while simultaneously investigating the extraordinary history of South London with which that life has been intertwined. Integrating text with haunting and exquisite imagery Unearthing excavates a territory at the margins of a city, of reality, and of human imagination. Starting life in Iain Sinclair’s seminal anthology LONDON: City of Disappearances, this dazzling and hypnotic piece has evolved through a series of live performances and acclaimed recordings, culminating in this breathtaking full-colour volume. 11 Shops, 13 Artists, one Street! Come along, see original comix art and illustration and chat with the artists. Come and celebrate the launch of the UK's best underground comix newspaper, see original artwork from the new issue, meet the artists and pick up your copy! Details here. Two days in Holborn's Conway Hall, a massive fair with over 100 exhibitors selling Zines, Comix and tonnes of other self published art. A separate room of workshops. A mini spoken word festival, storytelling & live drawing. See the IAPF website for more details. An exhibition of the work of Dave Ziggy Greene. Comic artist for Private Eye, Charlie Hebdo and Meme Pas Mal (France). Original art, posters and some work by Dave's French colleagues. Details here. Heavy Metal Magazine has launched a second art competition tying in with its Four Horsemen of the Apocalypse project. This time titled “What is your Vision of War?” - and this competition is open to anyone in the world - and artwork by Simon Bisley is just part of the top prize. 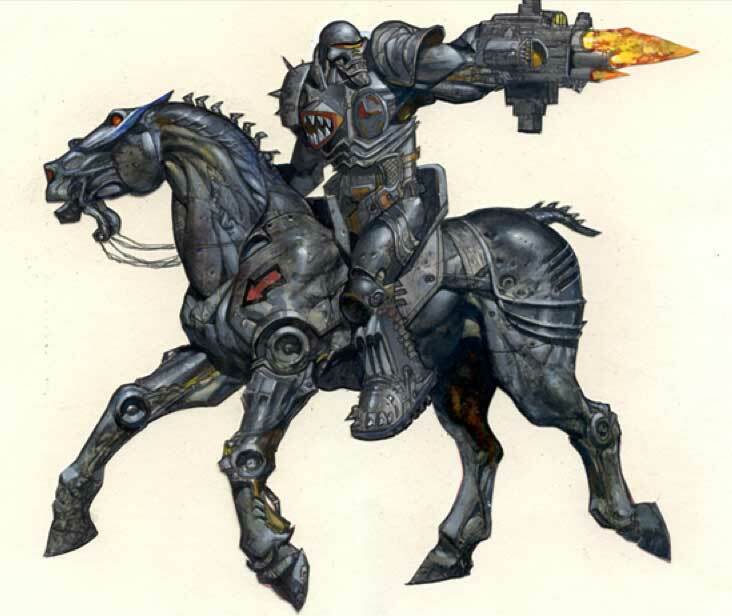 The fantastic apocalyptic submissions from the first Four Horsemen contest (“What is your vision of Pestilence”) drew fans from all over the US. “What is your vision of War?” is open to fans all over the world, with a grand prize that includes an original Simon Bisley painting of War and a prominent placement of winning artwork in Heavy Metal Magazine; plus runners up prizes that include winning artwork in Heavy Metal Magazine, a signed edition of The Four Horsemen of the Apocalypse Book 2: The Chosen, out later this month and free one-year digital subscriptions to Heavy Metal Magazine. Founded in 1977, Heavy Metal (www.HeavyMetal.com) has become an iconic American science fiction and fantasy comics magazine known world-wide for its incredible blend of dark fantasy/science fiction and erotica. Kevin Eastman, co-creator of the Teenage Mutant Ninja Turtles, purchased the world renowned title in 1990 and serves as Publisher and Editor-in-Chief. In Four Horsemen, Adam Cahill is a warrior bound by bloodline to guard the Seven Holy Seals that contain the End of Days. But sinister forces strike against him and send him into Hell itself. There, he must find three corrupt souls, chosen by Divinity, to join him in battle against the Four Horsemen to not only save their own souls, but to decide the very fate of Humanity. This title was created and co written by video game mastermind Michael Mendheim. In addition to the works of Simon Bisley, the series will feature additional art by the late Stan Winston, Tim Bradstreet, Chad Fidler, and Dave DeVries, and script written by co-writers Mike Kennedy and Sean Jaffe. Seven finalists in the art competition, which closes 13th August 2012, will be chosen by Simon Bisley, Kevin Eastman and Michael Mendheim (Four Horsemen creator and writer), and fan voting will open 15th August 2012 and close 31st August 2012. 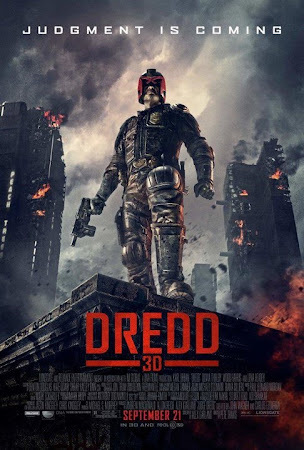 Here's the a new promotional poster for the new Judge Dredd movie starring Karl Urban, due in UK cinemas on Friday 17th September. The future. America is an irradiated wasteland. On its East Coast, running from Boston to Washington DC lies Mega City One a vast, violent metropolis of over 400 million citizens living in perpetual fear. The only ones attempting to impose order in the urban chaos are The Judges. Law enforcers, juries, judges and executioners rolled into one. The epitome of these Judges is Dredd, given a mission by the Chief Judge, to road test a rookie Judge, the powerful psychic Cassandra Anderson. It is to be a training day. The Judges head for a seemingly routine homicide in the notorious Peach Trees mega-block - a 200 storey vertical slum run by the pitiless Ma-Ma clan. But when the Judges attempt to arrest one of Ma-Ma’s chief henchmen, Ma-Ma shuts down the entire building and orders her clan to hunt the judges down. This year's Caption small press and comics festival in Oxford is only 17 days away! Guests include: Hannah Berry, Richy K. Chandler, Jade Sarson, David O’Connell, Al Davison, Hunt Emerson, Patrice Aggs, Robin Etherington, Woodrow Phoenix, Darryl Cunningham and Nicola Streeten. Doors open 10 a.m. Bar open from 10 for coffee, 12 for drinks. 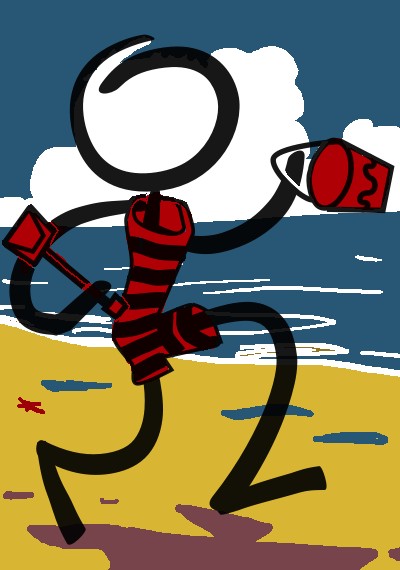 12:00. PANEL: Good, Clean, Knockabout Fun! Publisher Tony Bennett joins artists Hunt Emerson ('Lady Chatterly's lover'), Krent Able ('Big Book Of Mischief') and Brick ('Depresso') to talk about 32 years of the controversial British comics company. 14:30. 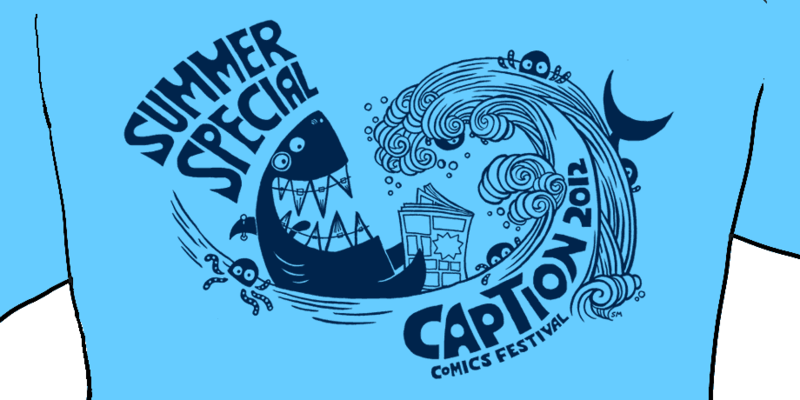 PANEL: Shedding Light on the Dark Art of Editing Comics. Woodrow Phoenix ('Nelson'), Corinne Pearlman (Myriad), John Anderson (Soaring Penquin) and Hannah Berry (First Fictions judge) discuss editing and commissioning comics and graphic novels. 16:30. PANEL: Myriad Editions. Myriad commissioning editor Corinne Pearlman discusses the output of the company alongside Woodrow Phoenix ('Rumble Strip'), Darryl Cunningham ('Science Tales'), Nicola Streeten ('Billy, Me & You') and Gareth Brookes ('The Black Project'). 11.00. BOOK GROUP: Comic Gosh!p Book Club (escaping from London) discuss Maus (Art Spiegelman) & My Cardboard Life (Philippa Rice). Try to (re)read one or both of these before the informal discussion in the bar, so you can join in! 12:30. PANEL: Playing in Someone Else’s Sandbox. Cartoonists discuss the benefits of working on creator owned vs. pre-existing characters, featuring Richy Chandler ('Wallace & Grommit' in The Sun) , David Baillie (via video! - Russian 'Teenage Mutant Ninja Turtles'), Charles Cutting ('The Dream Quest of Randolph Carter') and Robin Etherington ('The Phoenix' / 'Transformers'). 14.00. PANEL: The Phoenix - A Gallimaufry of Graphical Goodness. 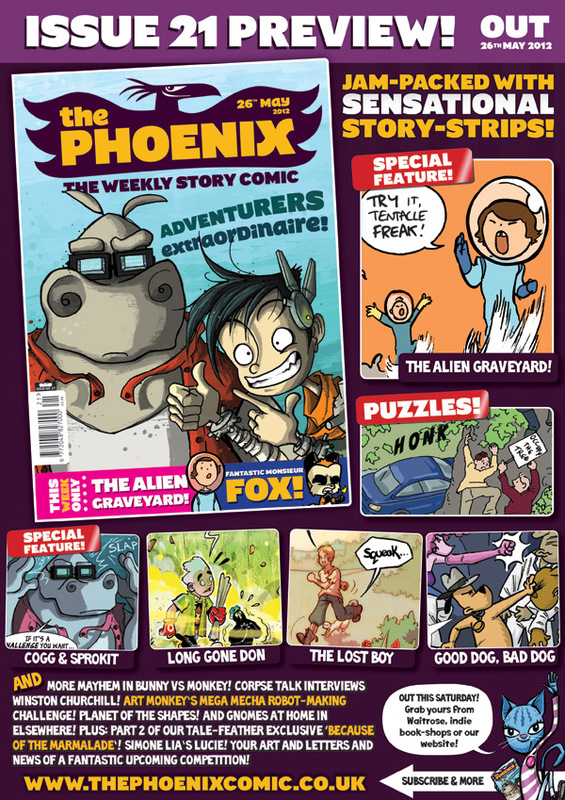 Daniel Hartwell (writer, ‘Pirates of the Pangaea’), Neill Cameron (artist, ‘Pirates of the Pangaea’), Adam Murphy (‘Corpse Talk’), Robin Etherington (writer, ‘Long Gone Don’), Patrice Aggs ('Blimpville') discuss year two of the popular British kids comic. 15.30. PANEL: America is not the Only Fruit. Manga influenced (and Manga Jiman shortlisted) small press creators Rebecca Burgess, Sarah Burgess, Jade Sarson and Joe Morgan discuss looking outside Anglo-American comics for inspiration with David O'Connell (Tozo, the public servant). 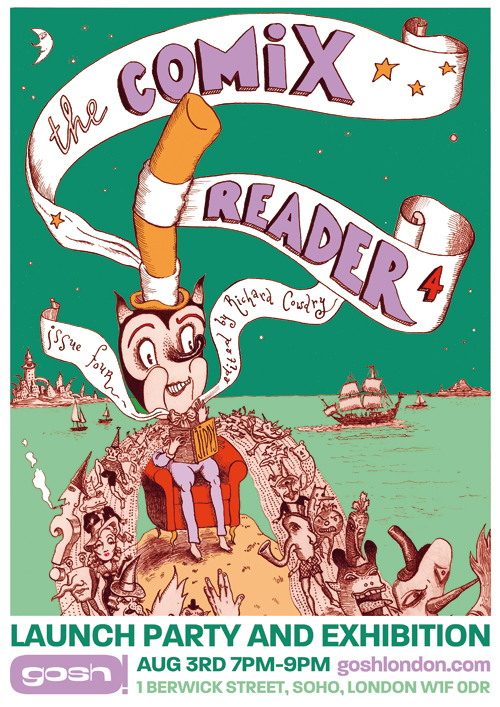 This Friday (3rd August) sees the launch of The Comix Reader Issue #4 at Gosh! London. The free event, which starts at 7.00pm, includes an exhibition of original artwork from the issue and you can chat with some of the many talented artists involved. The exhibition will run from the night the of the launch until August 9th, giving you plenty of time to see some original work. 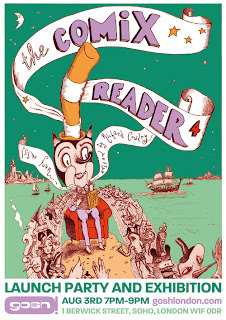 The Comix Reader (www.thecomixreader.com) is an alternative comics newspaper that attempts to reignite the free spirit of the underground press. It presents a unique blend of established talent, new discoveries, outsider art and unsung heroes of the art form. Its contributors are a rogues gallery of the UK’s funniest, edgiest and weirdest cartoonists. The event will also be the opening party for the International Alternative Press Festival, a weekend comics festival happening here in London! 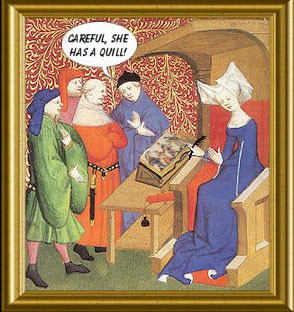 When artist Bryan Talbot, creator of The Adventures of Luther Arkwright and Grandville was recently honoured Northumbria University with an Honorary Degree, friend and fellow creator Al Davison couldn't resist a bit of fun at the expense of a new Doctor by photoshopping him into the guise of an almost as well known Time Lord. 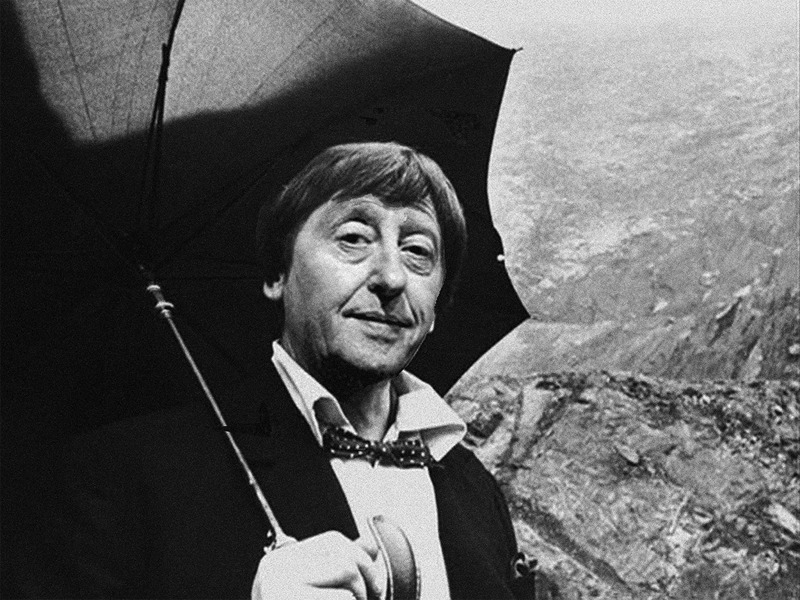 Al cleverly metamorphosed the newly-created Doctor into several incarnations of Doctor Who, including this PR image from The Krotons, recently released on DVD. 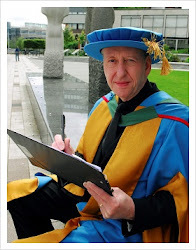 Bryan was awarded the Honorary Degree of Doctor of Letters alongside students from the School of Arts and Social Sciences, and you can see him in suitable finery below. Bryan, who lives in Christchurch in Sunderland, has worked on a range of ground-breaking comics and graphic novel and is credited with being the writer of Britain’s first graphic novel - The Adventures of Luther Arkwright – serialised from 1978. In 1989 Arkwright won the Mekon award for Best British Work and four Eagle Awards. Published in nine countries it has a strong cult following which has recently been made into a three-hour audio drama featuring David Tennant as Arkwright. Probably his most famous work, the graphic novel Alice in Sunderland explores the links between Lewis Carroll and Sunderland. It was nominated for a host of awards and is in its fourth printing in the UK. His graphic novel The Tale of One Bad Rat, which deals with the after-effects of child sexual abuse, also won a host of awards including the Eisner, the Oscar of the comic industry. It is published in 16 countries and used in several child abuse centres in Britain, America, Germany and Finland. 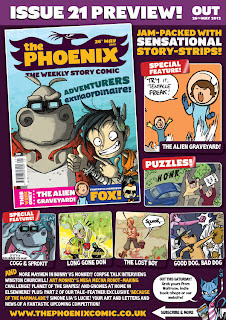 Bryan has created a variety of comic strips for publications as diverse as Radio Times, Wired and Imagine. His most recent work, Dotter of Her Father’s Eyes, is a graphic memoir written collaboratively with his wife, Mary. We think it's a bit of an honour being turned into a Time Lord, too. 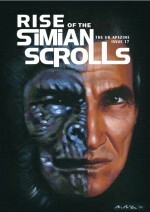 A new issue of the popular UK Planet of the Apes fanzine, Simian Scrolls, along with some of the previous issues, is available to download free online. Edited by John Roche, the summer 2012 issue (issue 17) is available here along with issues one to six. A sequel to the recent (and very successful) apes film Rise of the Planet of the Apes is currently in the works, entitled Dawn of the Planet of the Apes. Eagle-eyed apes fans may have seen a brief clip from the original Charlton Heston apes movie as part of the London Olympics opening ceremony on Friday evening. There have been numerous comic strip adaptations of the Apes saga over the years. A tie-in to the 2001 Tim Burton-directed apes movie was published in the UK by Titan and edited by dtb's John Freeman.